Wicketkeepers are the closest eyewitnesses to cricket's story. The cricket field is a unique stage, where the player at the centre is the most easily overlooked. Yet the wicketkeeper, always at the heart of the action, knows the game better than almost anyone else on the pitch. Wicketkeepers are able to anticipate a bowler, read a batsman, interpret a pitch, advise on a team’s strategy, carry and lift it’s spirit and even change the course of play. And in modern times, wicketkeepers have had to hold their place amongst the top six batsmen. From the revered Jack Blackham to the determined Brad Haddin, wicketkeepers are a unique breed and something of a club. And more than any other aspect of the game wicketkeeping is steeped in its own history, knowledge passed down from keeper to keeper. Each keeper has built upon honed skills, developed techniques and offered something unique to the game. And each keeper has come to represent the spirit of a team, from Marsh’s gruff resilience to Healy’s combative chippiness to Gilchrist’s overabundance of talent. In doing so, our keepers have not only shaped the character of Australian cricket – flinty, determined, world-beating and a little bit larrikin – but have helped shape our national sporting character. Wicketkeepers are the closest eyewitnesses to cricket’s story. 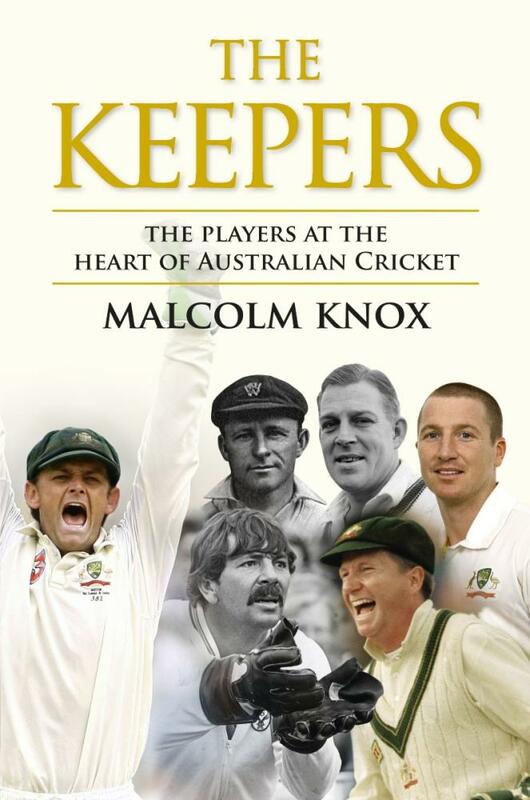 In The Keepers, award-winning journalist and writer Malcolm Knox re-examines the history of Australian cricket through the eyes and narratives of the talented, resilient men at the heart of the play. Malcolm Knox is the former literary editor and award-winning cricket writer of the Sydney Morning Herald (where he broke the Norma Khouri story, for which he won one of his two Walkley Awards). His novels include The Life and the Ned Kelly Award-winning A Private Man, and his many non-fiction titles include The Greatest and The Captains.